Shirley Ann Moody Pruitt, a resident of Birmingham, AL., entered into eternal rest on April 3, 2019. Visitation will be held from 2-7 p.m. at the funeral home. 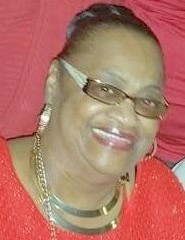 Services celebrating her life will be held at 12:00 noon on Saturday, April 13, 2019 at Central Missionary Baptist Church (1032 50th Street N.). Burial will follow in Zion Memorial Gardens.